Bollywood divas are best known for their trendy style and makeup looks. They never leave a chance to amaze us with their beautiful looks. There are few looks of these divas which are reserved for some special occasions and that dress code is definitely the gowns. Most of the time, they appear in gowns during the award functions or grand red-carpet events which is no less than a princess look. 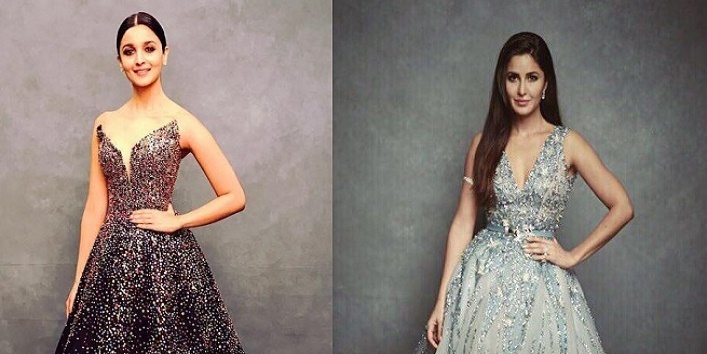 So, if you are also planning to wear a gown, then you first need to check out these Bollywood actresses who look beautiful in gowns so that you can get some fashion inspiration. Want to look like a princess? Then, you need to check out this look of Deepika. Alia knows how to pull off the shimmery look with elegance. Katrina looked amazing in this glittery avatar. Move in style with black like Kriti. Malaika defines the silver power in this look. She looked simply amazing in this subtle and shiny look. So, these were the few Bollywood actresses who look beautiful in gowns.